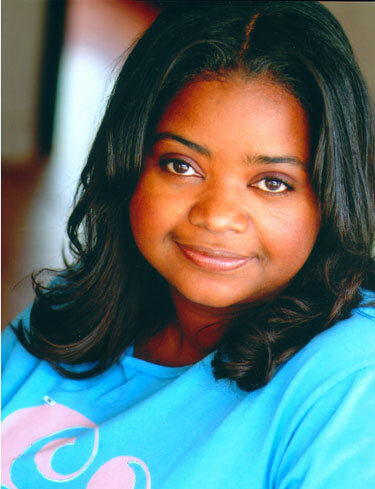 Octavia Spencer, who portrays Minny in the upcoming big-screen version of The Help, took time to talk to Southern Literary Review about Stockett’s bestseller and the upcoming film. Spencer spoke openly as an African-American southerner, confronting the controversial issue of dialect and the fine line an author must walk when giving “voice” to her characters. Do you think Kathryn was able to correctly capture the dialect of that era? I think Kathryn Stockett does an excellent job in capturing the voice of that era especially in regards to Aibileen. Using dialect to portray characters of a certain social class is not a new concept. I’m reminded of Twain’s Huck Finn, or various characters (all white) in Bronte’s “Wuthering Heights.” When done well, it’s quite an effective device that enriches the narrative. Some people say that writing the black dialect is, in itself, a racist act. Most blacks here I’ve spoken to disagree and say she got it right for that time period and location. What do you think? In my opinion, Stockett’s use of dialect is authentic and not at all racist. Again, she’s writing characters in rural Mississippi with limited education. If all of the blacks portrayed were written in the same voice, i.e. Aibileen’s as hers is the most distinctive, then the argument for racism might be plausible. Clearly that is not the case as ministers, teachers, and more educated blacks are written with no dialect at all. Even today, there is a dialectal difference across classes and a lot of people code-switch depending on the situation. This is not so much a race issue as a socio-economic issue. I’d like to talk openly about that and encourage people to see the dialects as equally beautiful ways to relate to each other, and not one as being superior to the other. What are your thoughts about modern-day dialects? While I agree that there are dialectal differences today, I don’t believe that there is a certain way that blacks “speak” as opposed to whites: English is English. Ascribing to that belief is where racism begins, because it encourages people to amend their speech when in the presence of other ethnicities. Often when I am approached by whites who are only familiar with me via characters that I play on screen, they change their dialect and grammar because of who they perceive me to be. It’s insulting. I usually respond with a tight smile and silence. If that doesn’t convey my disdain for their behavior, I say a polite hello and move on because for me the conversation has ended. I can’t say that I know much about “code–switching.” What I do know is that people relax in familiar environments. I attribute that to education, age, social status and technology. Let’s not forget, the vernacular is constantly evolving to include the use of acronyms and slang in place of standard, proper English. And that, sadly, is within all racial lines. Race relations have improved significantly in the south over the years. However, many wealthy white families continue to employ minority workers in their homes, and many white children are still raised by African-American nannies today. While those workers may be allowed through the front door, at the dinner table, or in the restroom today…these relationships are still very delicate, intricate, and complicated. What would Minny — with her sharp tongue and brutal honesty — say about the modern south? To be quite honest, it’s difficult to say how Minny would respond to the modern day south. We have to remember that her interaction with whites was limited, and at a time in history where social injustice was prevalent and accepted. It takes time to build trust. I’m not sure that Minny wouldn’t continue to have a watchful and suspicious eye on any non-African American save, of course, progressive whites like Celia and Skeeter. However, she would be proud that her contributions effected change in social mores. Finally, who will be portraying the other characters in the movie? We’re all hoping for real southern actors who have real southern accents. Aibileen will be played by Viola Davis. Emma Stone will play Skeeter. Bryce Dallas Howard will play Hilly. Celia will be played by Jessica Chastain. While I’m not sure where these talented women are from, I know that their accents to my southern ear sound realistic and not at all contrived. Also remember that the film’s director, Tate Taylor, is southern. I haven’t read The Help ( though I may get to it soon), so I can’t specifically comment on the dialect. However, I think overly critiqued dialect can lead to misunderstanding and assumptions of racism (a word created in the last century and as broad-brushed a word as can be used in didactic argument). However, Ms Spencer is on target with her acknowledgement of writers like Twain, et al. Recalling To Kill A Mockingbird: Was it “racist” to allow the character Robert E. Lee Ewell to speak in dialect, e.g. “…you dade wrong…” ? I think not. All Southerners have known a RELE and regardless of how he spoke he was what he was—a thug. On the other hand, for the politically correct or “incorrect” remember: the wisest person in Gone With The Wind was a black woman—Mammy. The scoundrel, rogue was a white male, Rhett Butler. In the movie Clark Gable refused to do a Southern accent because he stated that he just couldn’t make it sound authentic. Hattie McDaniel could and did; and again, she was the wisest one. I just finished reading this book and while I enjoyed it very much, I wonder about it’s accuracy in portraying the what life was like then for those maids and the white people they worked for. After all, it’s not Skeeter who is actually writing the story. The author was not Skeeter and she didn’t grow up the way Skeeter did. It was her grandparents who employed a maid and her father who grew up with a maid, I guess. She , as a grandchild, did know the maid, but by then it was not the late 50’s or early 60’s. So, it’s written by a white woman, imagining what it would be like for a white woman 50 years ago to write a story about what life was like for black people during that time. I’m not saying that it is inaccurate, just that there is no way to prove that it is, except to hear what the opinions of those old maids themselves would be if they could read it. Would they say, “yea, that’s exactly what it was like”? The accolades the author has received seem to come from mostly white people of this generation. Yes, it’s beautifully written and yes, it’s entertaining. But what would those who could truly judge it, say about it? I would be interested in hearing what they have to say. Is there any such information available?